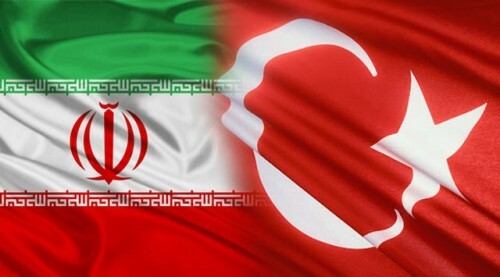 Almost 80 years after that first meeting, the Turkish Foreign Minister Ahmet Davutoğlu and his Iranian counterpart Mohammad Javad Zarif are trying to renew that partnership. With sectarian violence escalating in the Syrian Civil War, strategic trade agreements in the balance, and the compromise in the nuclear talks, there is both a pressing need for collaboration and an opportune time for partnership. The two countries have finally realized that they have too much to gain and everything to lose if they do not work together in solving complex issues bringing instability and loss to the region. It’s now time for cooperation. The dialogue between two regional powers such as Turkey and Iran who share an historic relationship will not only enable our region to gain stability, but also prevent the negative effects of conflicts. The first area of mutual concern is the escalation in sectarian violence in Syria. Iran and Turkey have criticized each other during the conflict — Turkey accused of supporting a foreign policy agenda that favors Sunni interests in Syria, and Iran linked to the wrong-doing of Syrian President Assad. However, with extremist groups such as the Islamic State of Iraq and ash-Sham and Jabhat al-Nusra controlling areas in northern Syria close to Turkey’s border, division has been replaced by a sense of urgency and Turkey’s AKP Government looking for a solution to the violence. So is Tehran. Iranian Foreign Minister Mohammad Javad Zarif said, “I believe sectarian conflict is even a greater threat and it is not confined to one region….If the flames of sectarianism rage in the Middle East, you will see the results in the streets of London, New York, Rome, and Madrid”. The second issue is the significant trade opportunities between the two countries. Iran, one of Turkey’s central trading partners, is Ankara’s second-biggest supplier of natural gas. Using that gas, Turkey is set to become Europe’s third largest electricity consumer in the next decade, surpassing Britain. Since natural gas imports from Iran to Turkey began in 2001, the trade has grown from $1.2 billion to $10.2 billion in 2008 and $22 billion — despite US-led sanctions — in 2012. These trade opportunities ultimately depend on the compromise in the nuclear talks between Iran and the West. Despite the continuing rise in trade, Turkey’s ability to import from Iran — especially oil and gas — has been hampered by the sanctions regime. Turkish Energy Minister Taner Yildiz complained recently, “We have reduced our imports to 105,000 barrels a day from 140,000 barrels. We cannot reduce it anymore”. Turkey has lost close to $6 billion during the first 9 months of 2013, compared to 2012. The blow could be worse if the nuclear issue is not resolved: Ankara still imports about 22% of its gas and 44% of all its oil from Iran. Jason Browder is a U.S. Fulbright Scholar with the State Department in Turkey. He has served as a Military Legislative Assistant in the U.S. House of Representatives and in Iraq with the U.S. Air Force. He has extensively covered national security issues and have written several articles on security, including on Congress’ approach to Iran and on North Korea.